Roxanne Rustand is the author of over thirty romantic suspense and romance novels. She started out in the secular world, writing for the SuperRomance, Everlasting and Heartwarming imprints, but she switched to inspirational fiction in 2007 and has never looked back. SS: What’s something you wish you’d known when you started your writing journey? When I first started writing, I simply enjoyed the process, but being published seemed beyond the realm of possibilities. Later on, I learned about RWA and started entering contests. Those contests gave me encouragement to try to move forward, but reality is that seeking publication can be a long road filled with hope, hard work, thrilling possibilities, and deep disappointment. If you don't have a tough skin, and if you aren't driven to reach your goal, it probably won't happen. Many people give up along the way, but I kept a phrase taped above my computer: "What if you give up, and success was just around the corner?" SS: What’s the most common writing question you get and what is your answer? SS: How have you dealt with the rejection of your writing? Rejection can come at any stage---highly negative score sheets in contests, rejections from editors along the way to a first sale, and even after a writer has sold many books. At any stage it's tough. We pour our hearts into our stories, and we want others to love them as much as we do! But it doesn't always happen. Years ago, I did some workshops at RWA national conferences with my first editor, who always told the audience that she hated rejecting submissions...and she just hoped those authors knew that it wasn't personal. She wasn't rejecting them as writers, just the current project on her desk. Yes, perhaps some aspiring authors need to hone their craft more, but sometimes rejections can be totally unrelated to the quality of the writing. Maybe it doesn't fit the line, but would do better elsewhere. Perhaps the editor has just bought a similar story. I let myself wallow in misery for a few hours, and then I make myself get back to work! SS:. Do you have a Bible verse that guides your writing? If so, what is it? SS: What is your favorite writing book? My shelves are literally overflowing with writing books, but here are a few of my favorites: Writing the Breakout Novel, by Donald Maass, Plot & Structure by James Scott Bell, Revision & Self-Editing, by James Scott Bell, Teach Yourself Screenwriting, by Ray Frensham, and Save the Cat, by Blake Snyder. SS: What does your writing life look like? I used to work twenty hours a week as a dietitian in a psychiatric facility. The rest of the time I devoted to my family and writing. Now that our three kids are grown, things are much quieter at home. It is possible to be a little more productive without any interruptions, but I miss them all terribly! SS: What advice would you give to an aspiring author? Work hard at developing your craft. Be open to critiques and to the judges' comments if you enter contests. If this is your dream, be prepared to work hard and keep trying. And finish your book! So many writers fiddle endlessly with the first third of a manuscript and just never reach The End. You can't sell something that you can't finish, and getting to that last page is an education unto itself. You will learn so much by completing a story, polishing it, submitting it, and then finishing another. SS: What is your favorite aspect of writing? For years, a dear friend, who is an inspirational author, told me I should try writing inspirational novels. She pointed out that most of my secular books involved people of faith, and had subtle inspirational elements. From the start of writing my very first inspirational novel, I felt as if I'd come home. I love being able to incorporate the faith element in a book, while still writing about suspense, and relationships, and romance. Steeple Hill is the perfect place to be! This is such an exciting time! 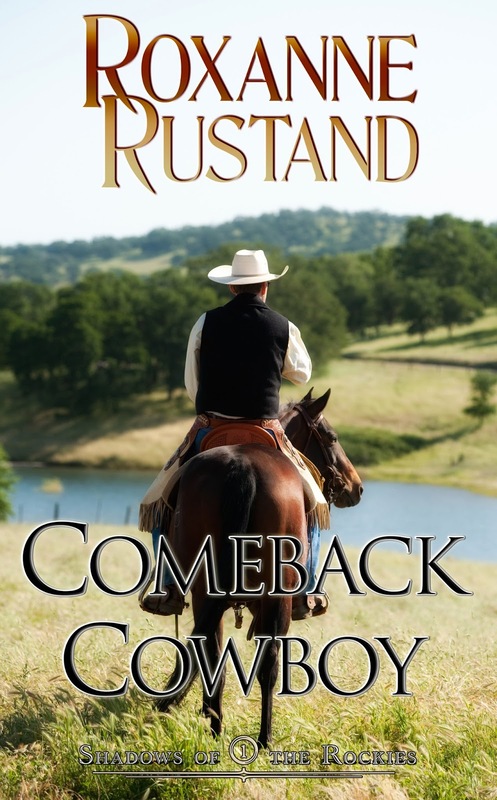 I now have my first "indie" published book, COMEBACK COWBOY, up on Amazon for just $2.99, and it will soon be available in all formats for various e-readers as well as in print. This is a contemporary romantic suspense, the first in my Shadows of the Rockies series, and there will be two more books up later this month: SUMMER AT BRIAR LAKE and A MONTANA LEGACY. Also, my agent is now sending my proposal for a three-book trade series to a number of publishers. Finally, where can readers find you? I have a quarterly e-newsletter, where you'll find a newsy letter from me, favorite family recipes, photos, news about new releases, and also contests in which you can win prizes. I'm also at www.facebook.com/Roxanne.Rustand.Author where you can hit "Like" to follow me. I would love to connect with you there!